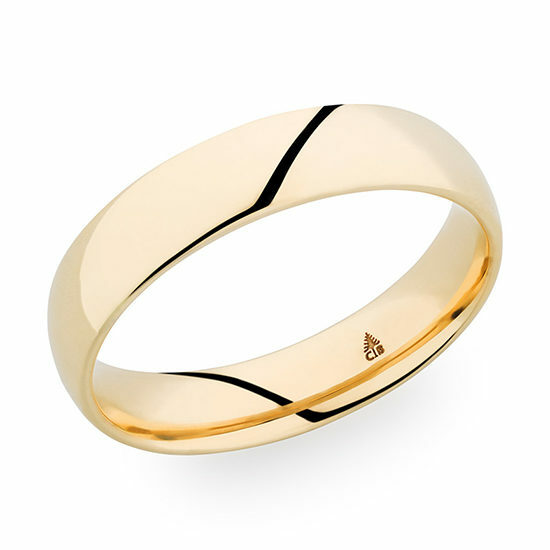 Made in 18k yellow gold, this 5mm high polish finish band is as timeless as your love. This comfort fit band is curved from within to take the shape of a man’s finger. Thin and weightless, you’ll hardly notice that it’s on your hand! All Christian Bauer bands are hand made in Germany. This ring can be customized in additional widths and sizes. Call 212-566-8977 or write [email protected] for more information on custom orders.